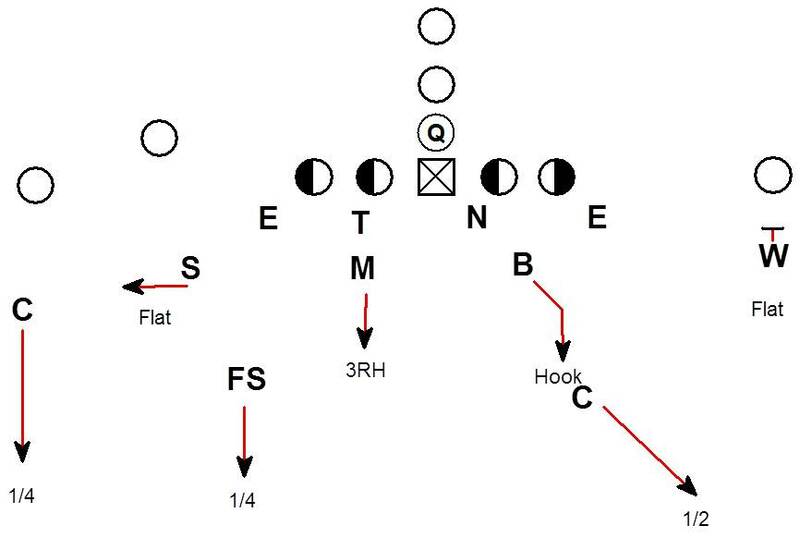 In a base 4-4 personnel with 4 down linemen and 4 linebackers the natural thought process is to play 1 high safety coverages like Cover 3, Cover 1, or Robber. 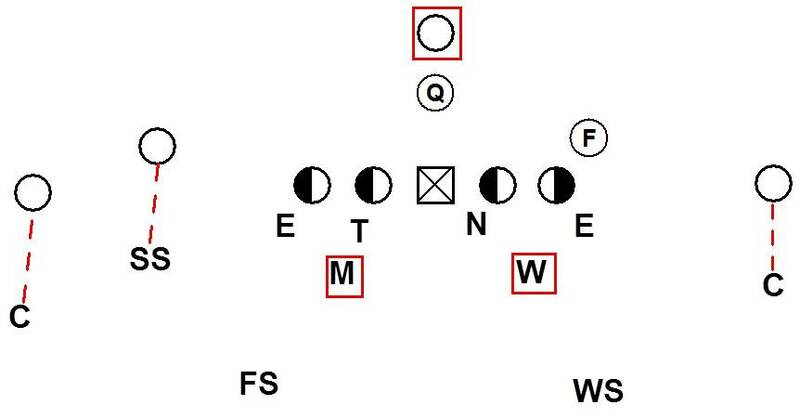 In the above example the Sam and Will outside linebackers are guys with true linebacker skill sets. 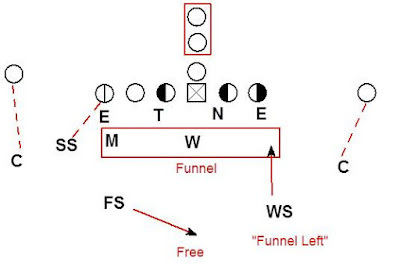 It is completely impractical to have either of those players play a deep 1/2 safety technique. 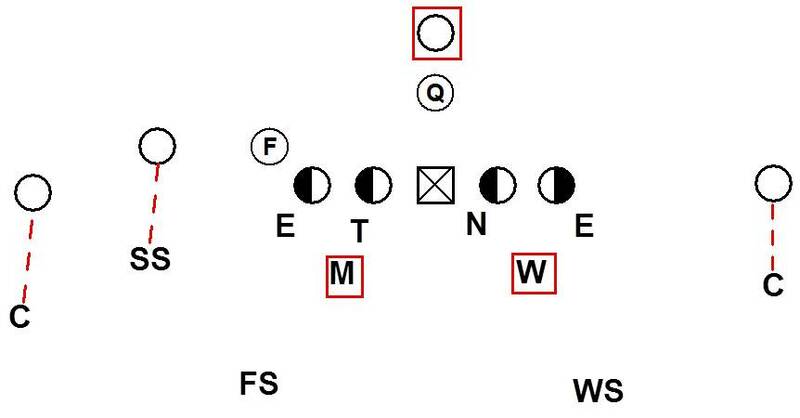 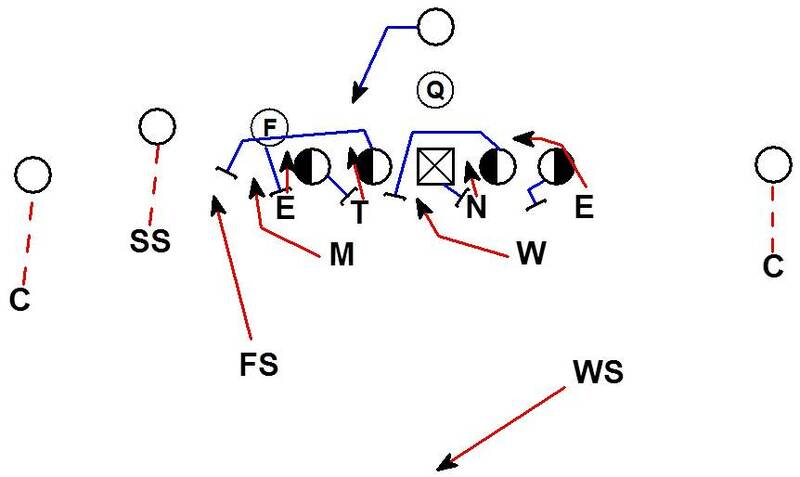 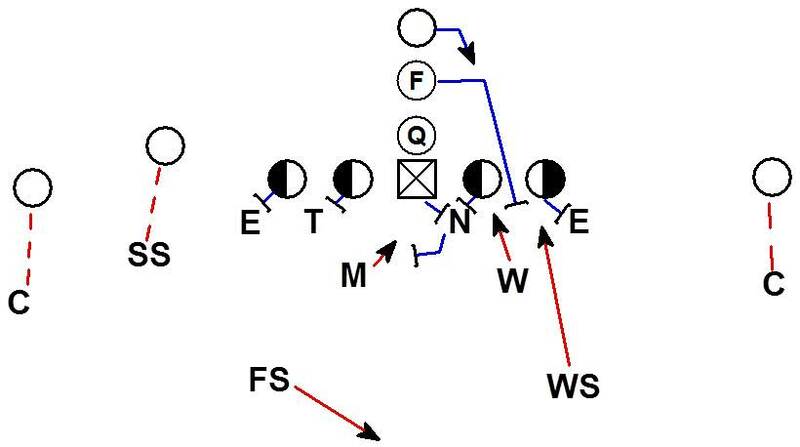 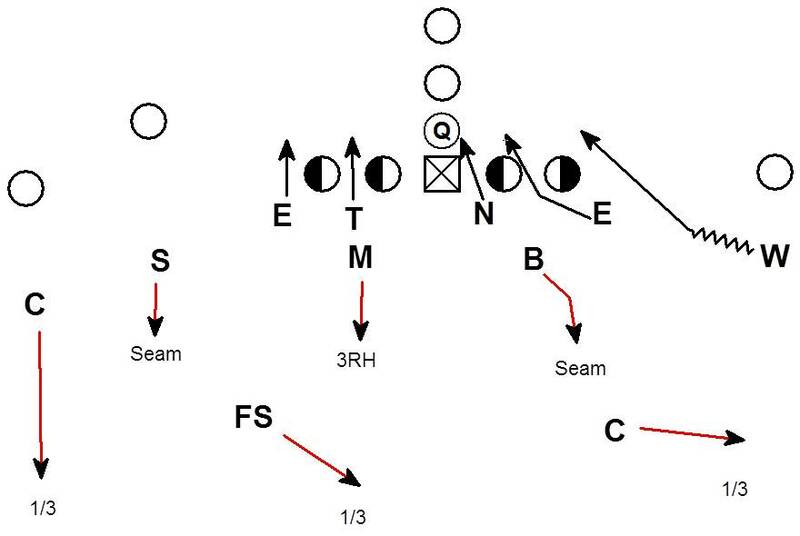 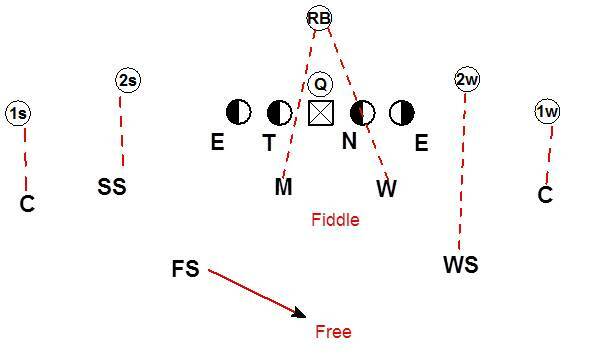 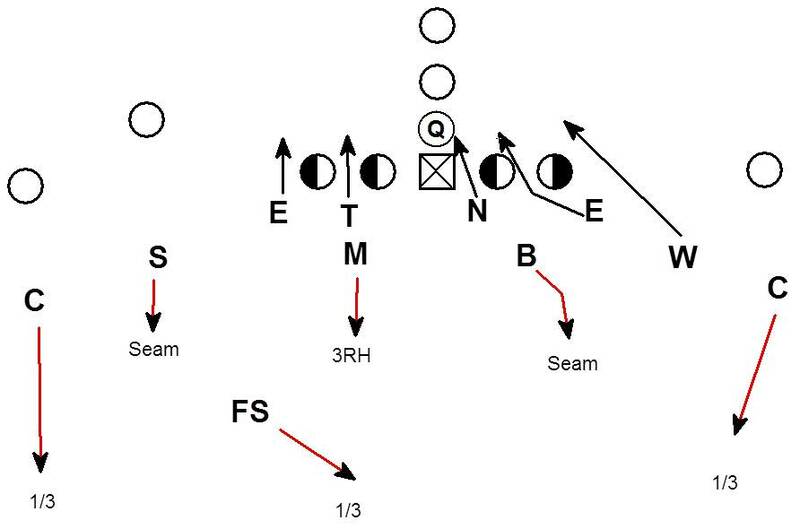 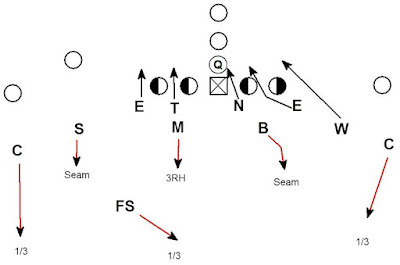 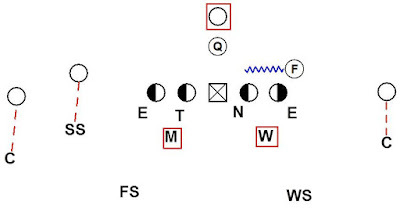 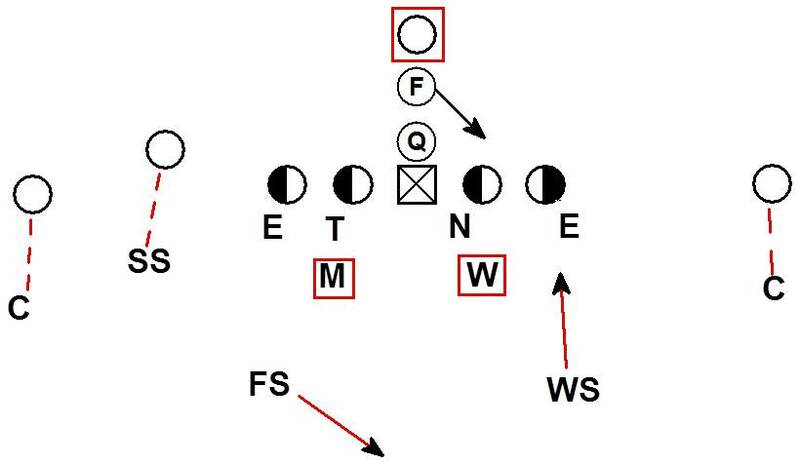 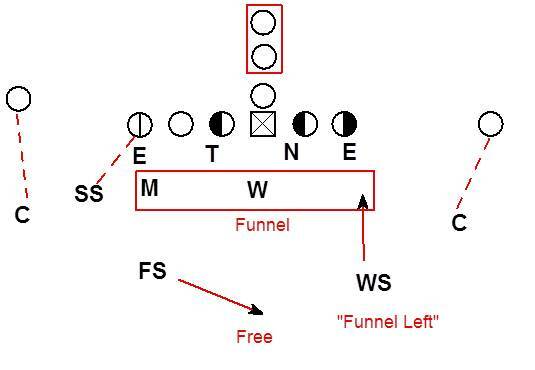 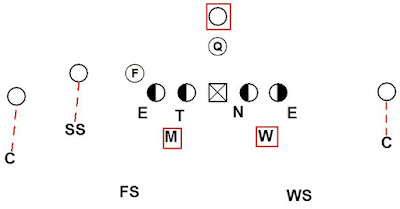 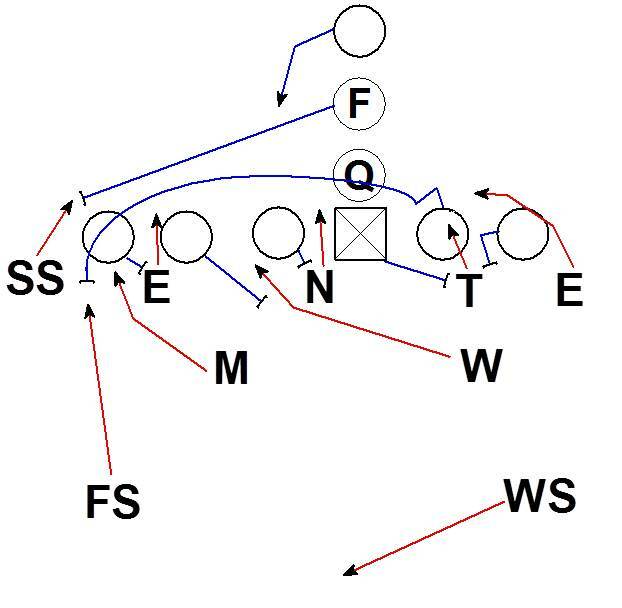 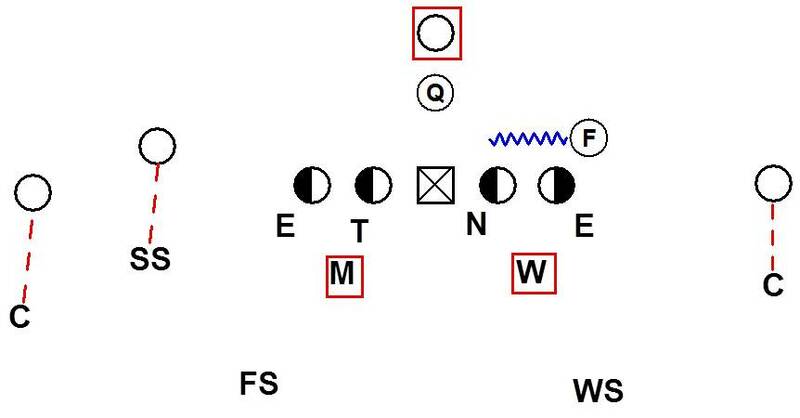 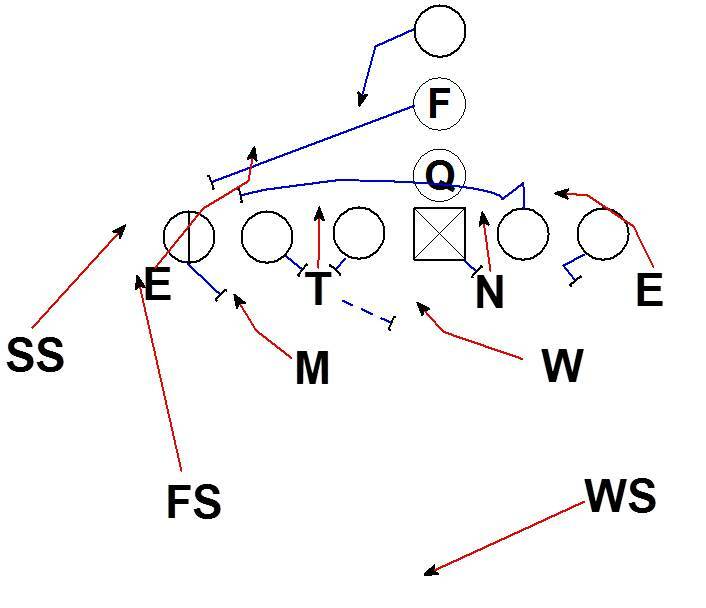 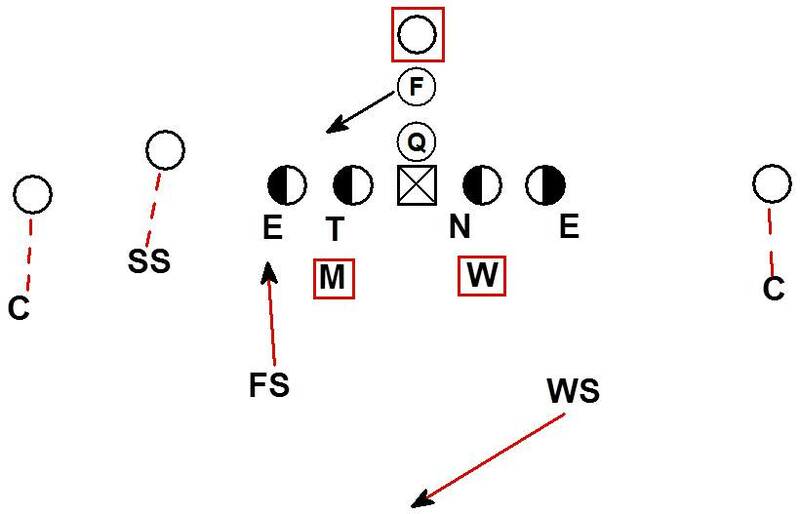 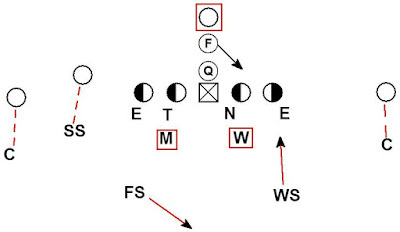 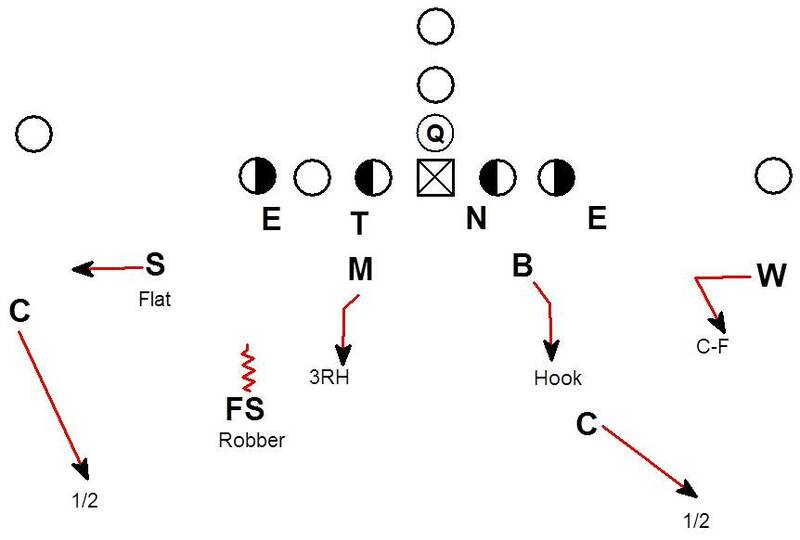 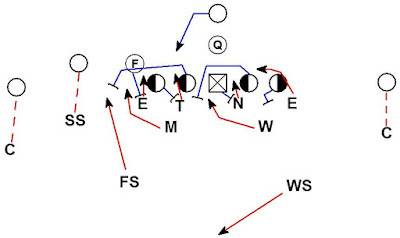 One solution is to use the Will LB in the role of the a cover 2 corner by walking him out over #1 and playing the Corner in the role of the deep 1/2 safety off the hash. 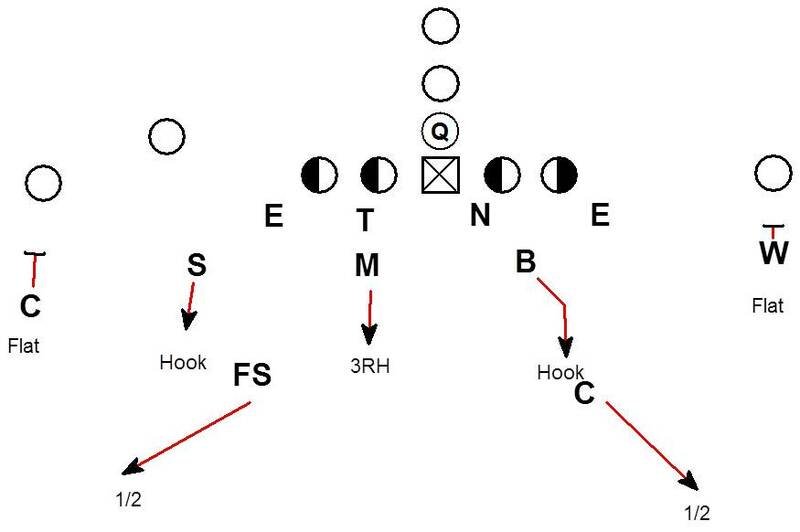 This solution can make sense for all the personnel involved. 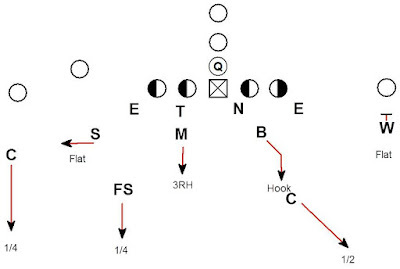 The Corner may not be a physical beat 'em up player and may be better suited to play the deep 1/2. 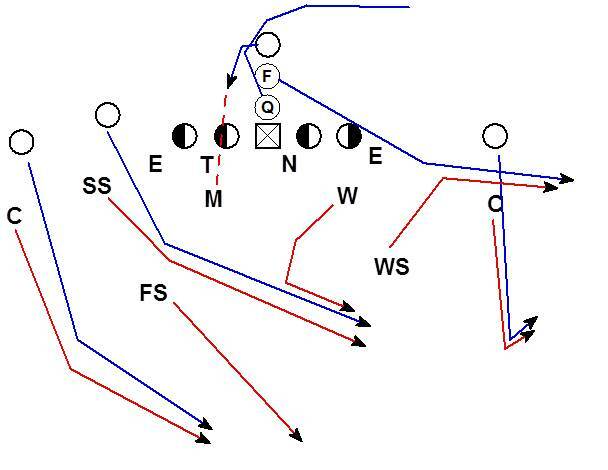 Especially if the Corner is typically playing a deep 1/3 or man. The Will may be the better choice for being physical and re-routing the #1 receiver. 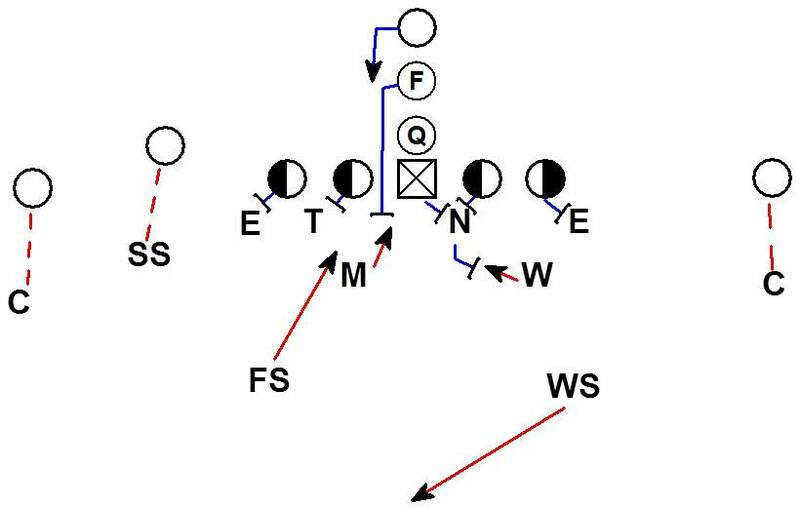 The Will already practices being a flat dropper in other coverages. 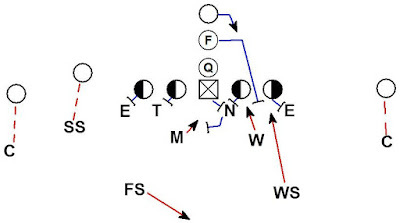 Keeping the run support structure similar is another factor. The Will is typically the force player in most 4-4 defensive structures. 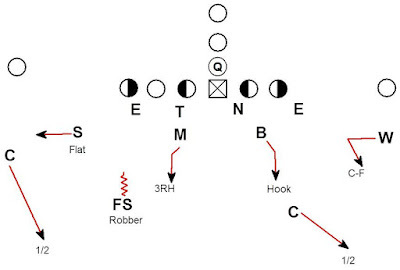 By widening him out to the role of "corner" the Will is still the force player. 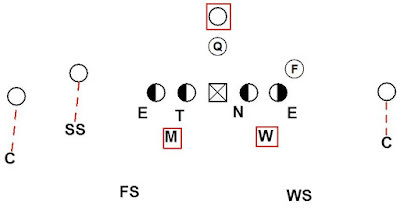 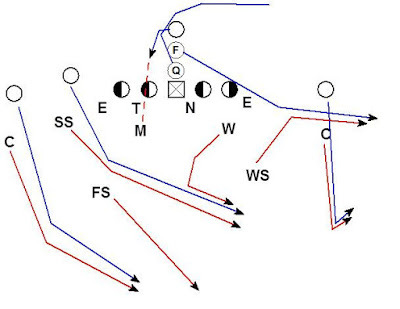 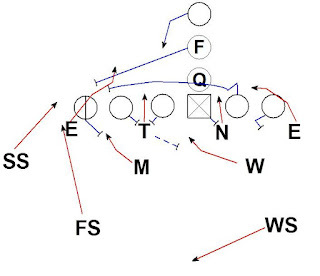 The defense could also choose to play a 1/4 1/4 1/2 concept this way. 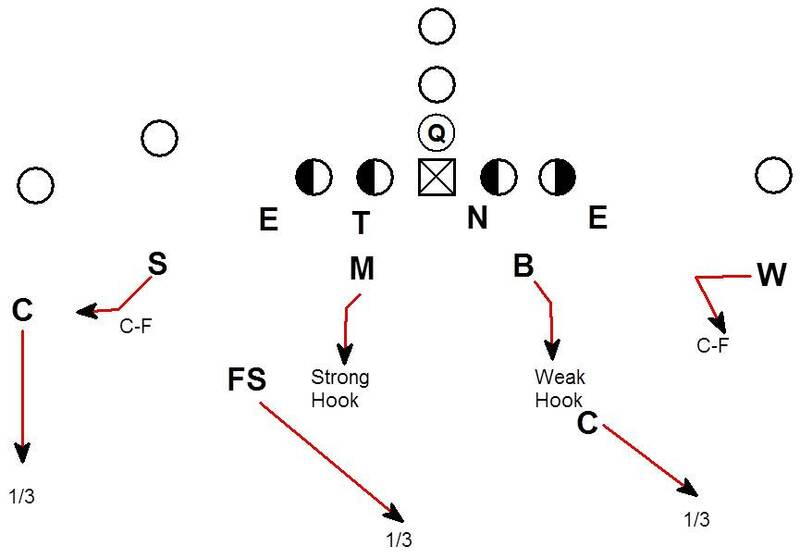 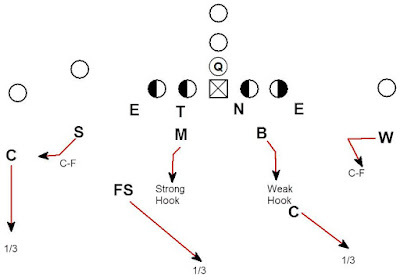 By having a tag word to align the Will out of over the #1 receiver weak the defense can also build a natural disguise package with other base calls it is already running. The defense can show the FS and Corner deep on the hashes with the Will walked out on #1. 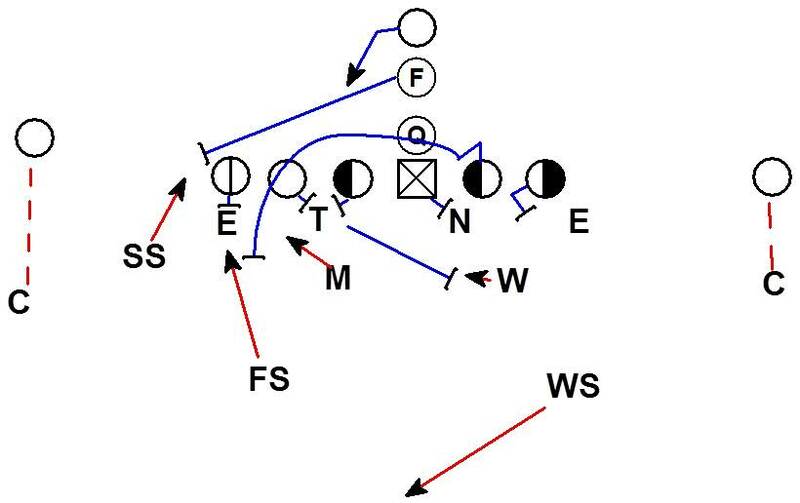 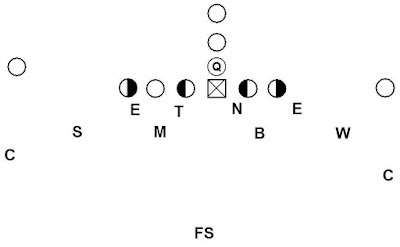 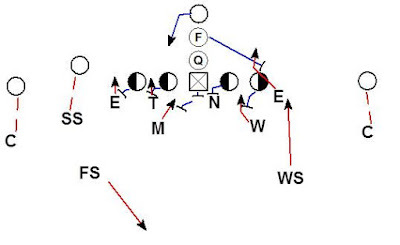 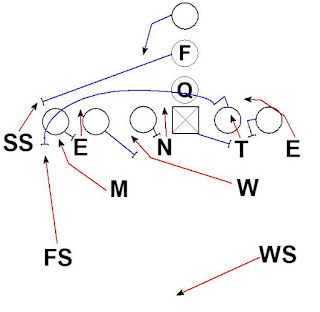 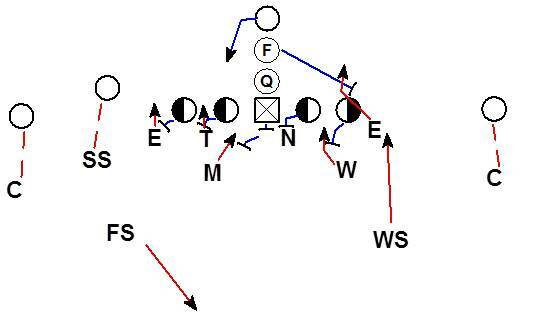 At the snap the coverage can easily roll to a base Cover 3 concept. 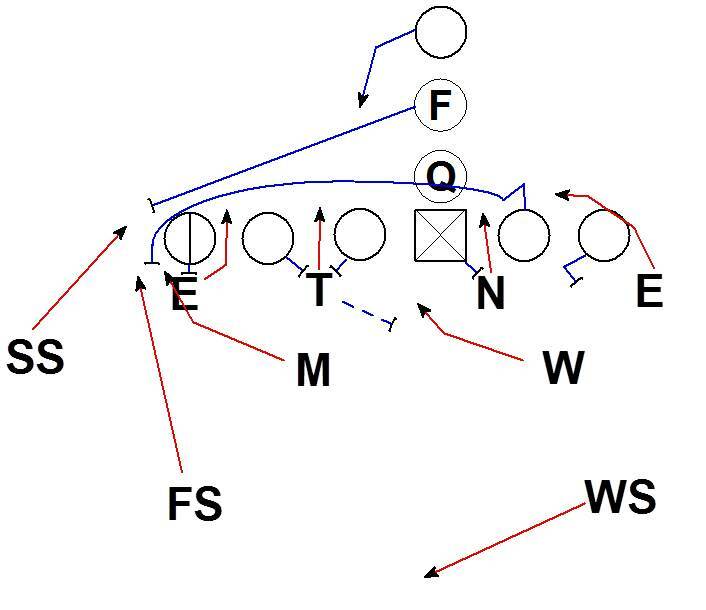 The defense can also easily walk the Safety down off the hash and roll the corner to deep 1/2 and play a Robber coverage concept. 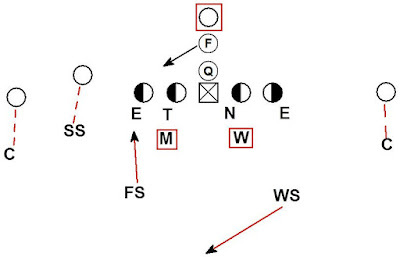 Basic pressures now have a naturally added change up element as well. A standard 4-4 outside linebacker zone dog can easily function like a corner dog.